Frame door with panel veneered in scav 670 absolute white oak. 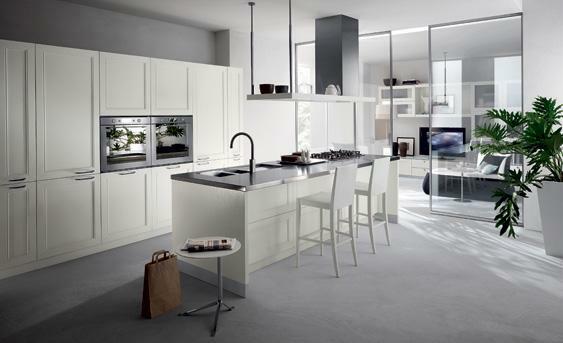 The modern kitchen is a constantly evolving area, becoming more and more an open, multipurpose space . The “Regard” kitchen with Oak doors, Oak side panels and elements designed to combine convenience and comfort achieves an attractive continuity between the kitchen and living-room.